Deputy AG of the Dept of Justice Rod Rosenstein briefing reporters on Friday. Thirteen Russians were indicted. 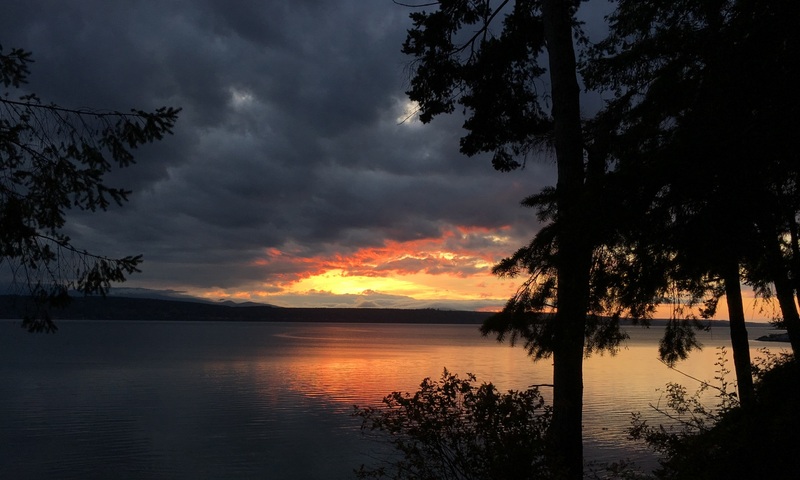 An American was separately indicted for identity theft. More indictments will surely come, since these did not address obstruction of justice, criminal hacking of the Clinton campaign servers, or money laundering. Exactly how Russia interfered with the 2016 Presidential Election in the USA, became much clearer on Friday. 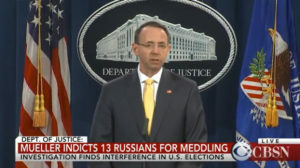 The Dept of Justice charged 13 Russian nationals with using stolen identities and exploiting YouTube, Twitter, Facebook and Instagram, to wage a well-funded and well-coordinated campaign to promote Trump and to tear down Hillary Clinton. What’s still not clear: to what extent Trump, Trump Jr and Trump campaign staff colluded with the Russians – and to what extent they obstructed the Mueller investigation. Yes, Deputy AG Rosenstein said bluntly on Friday: “There is no allegation in this indictment that any American had any knowledge” of Russian involvement .. but surely more indictments are forthcoming. Fake-News-President Trump launched a tweetstorm on Friday & Saturday full of denials and I-told-you-so’s. He quoted Rosenstein and others, claimed exoneration from colluding with the Russians, said this had no effect on the election, and again attacked the FBI. Excerpt from the FBI’s 37-page indictment. 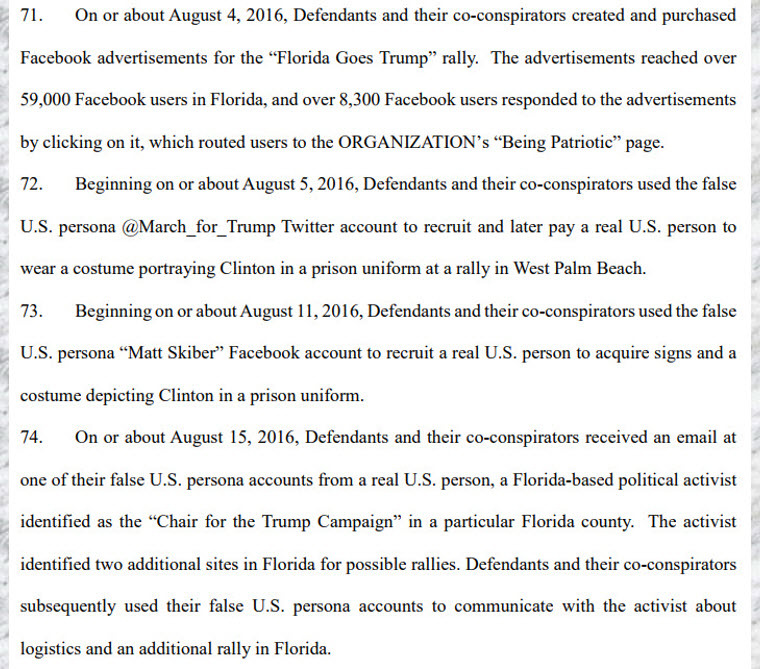 The 13 Russians and their accomplices purchased Facebook advertisements, recruited US persons to appear as Hillary Clinton in prison garb at rallies, and urged US voters to attend pro-Trump rallies. Trump supporters eagerly retweeted and posted the fake Russian ads against Clinton. Previous PostPrevious Friday/ Happy Lunar New Year!